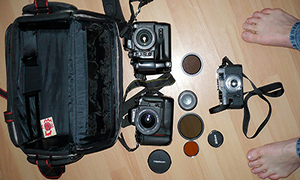 Not only a camera bag, but a movie camera bag too. What a score for a Friday. 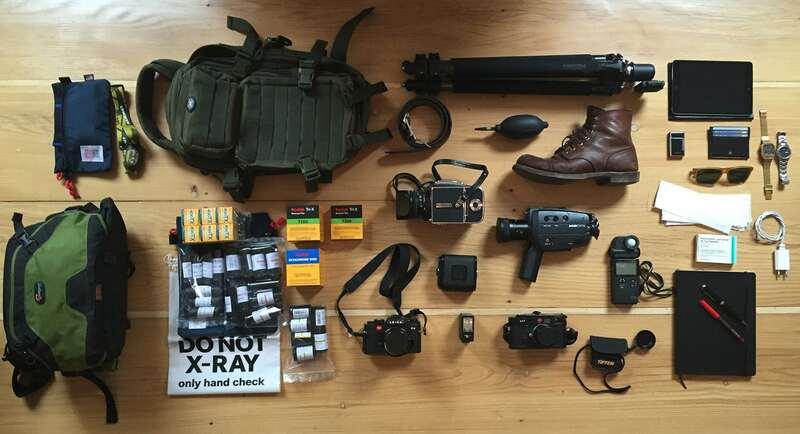 This one has it all, including a boot (presumably to give the airport security a kick in spuds if they scan Matthias’ film). And to top it off, this bag is going to Chernobyl! “Every experience feeds ideas” (David Lynch) is one of my most favourite motto/theme. Every day I wake up I think how to create this day as beautiful as I can. And to improve this I have to travel around as much as I can to find what I am searching for. And I love to travel to countries beyond the ordinary tourism. A few years ago I’ve been to Bosnia, Albania with my caravan and I fell in love with East European countries. Then I decided to travel to Ukraine and especially to Chernobyl and Pripyat. And I’ve found a lot of new experiences that are inspiring me for new ideas. 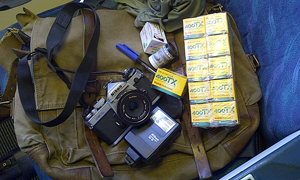 For the trip to Chernobyl I took my loved Leica M7 with a Summicron-M 1:2/35mm. I’ve used the Adox Silvermax 100 BW with it. Then I wanted to have another camera to use with Kodak Tri-X 400 BW. I’ve decided to take my Leica R4 with Vario-Elmar-R 1:2/50mm. And then I love to take pictures with the medium format Hasselblad 500 C/M with Zeiss Planar T*1:2.8/80mm. With this camera I’ve used several films of Washi 25 and Adox CMS 20. And because this is a special trip I’ve decided to take my Super 8mm Bauer C107XL with a lot of Kodak Tri-X 7266 and Kodak Ektachrome 100D. 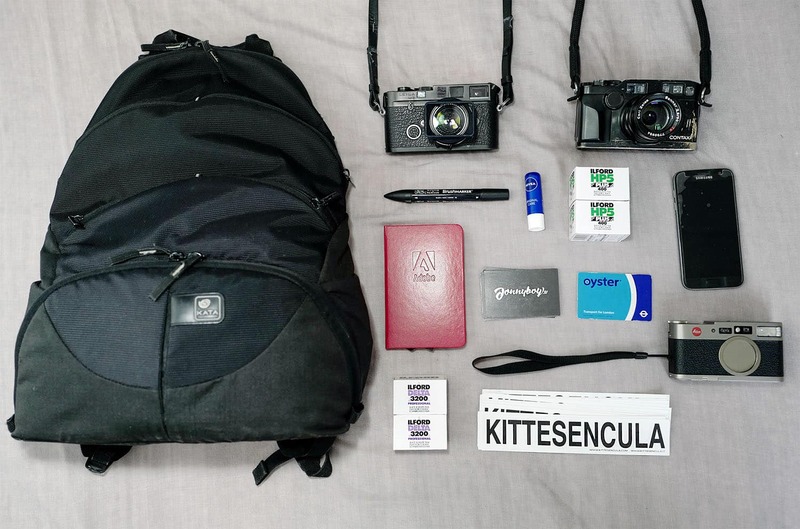 I’ve packed everything in my Lowepro Inverse 200AW and a classical military bag. That’s a perfect combination for me. I had also a Gossen Starlite 2 lighting meter with me, a Tiffen Black & White Viewing Finder, a Velbon Tripod for the medium format camera and 3 little bags of Topo Design to put my films inside. And the perfect shoes to walk around are the Red Wings Iron Rangers and in my bag is also a iPad Mini Retina, Charger, Watches, Notebooks, Pens, Headlamp and for this trip… Kaliumiodid because of radiation. Thanks for sharing your bag with us, Matt. I hope you had a safe trip, it must have been fascinating. It’s a cool set-up and everything but what I love the most are those boots! Fingers crossed your film doesn’t get scanned Matthias, and have an awesome and safe trip! Low iso films are safe unless you check them in. They use really strong x-rays in there. 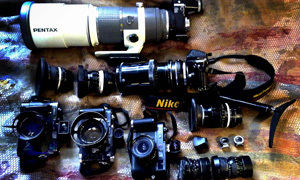 Put them in an x-ray bag and let the security personnel go through the film manually at the security check. I was wondering where you purchased the ‘do not x-ray’ bag for your film? Great bag! Unable to locate that Tiffen B&W Viewer. Is it still made? Can you send a part number or more info?